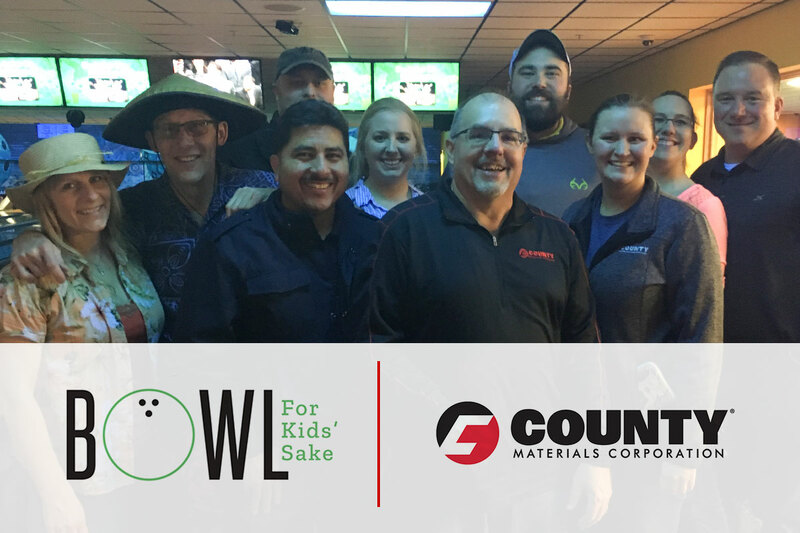 County Materials team members along with family members and significant others participated in this year’s Bowl for Kids’ Sake in support of Big Brothers Big Sisters of Northcentral Wisconsin. Ten bowlers made up two County Materials teams; individuals enjoyed an evening of team building and a chance to support a good cause in the local community. In total, the January 11th event raised $39,000 through pledges and sponsorships. Bowl for Kids’ Sake is the chapter’s signature fundraiser. Each year hundreds of people across Northcentral Wisconsin come together to have fun and raise money to support youth mentoring in the surrounding communities. Big Brothers Big Sisters of Northcentral Wisconsin serves hundreds of children by pairing them with a positive role model in their life. County Materials also supports Big Brothers Big Sisters nationally through contributions to chapters where the company has locations.